A village in Siberia, Russia. 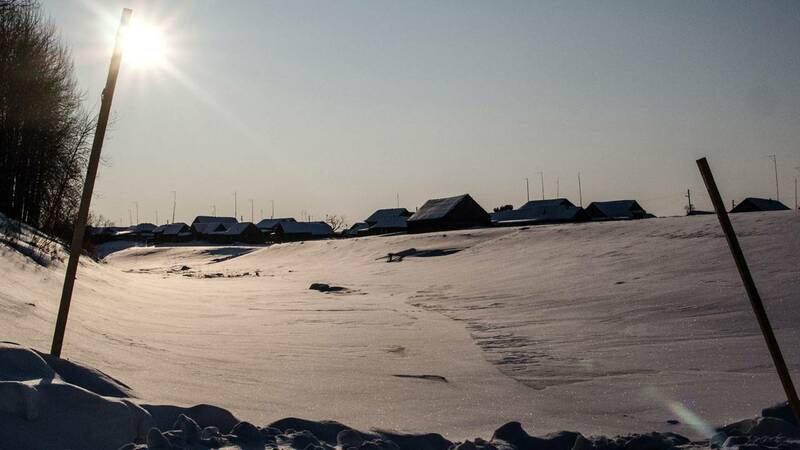 (CNN) - Temperatures in parts of the Siberian region of Yakutia have dropped to minus 67 degrees Celsius, prompting even eyelashes to freeze. Residents of the remote region, about 3,300 miles east of Moscow, are certainly accustomed to record-cold weather. Anastasia Gruzdeva posted this selfie, taken on Sunday in the city of Yakutsk. In her caption she said: "You all know that we have -50 degrees here, right? And yes, we still get out of the house...it's kind of hot actually." Another Yakutsk resident Vladimir Danilovs posted video from an outdoor fish market in the city as temperature dipped to minus 49 degrees Celsius. It shows baskets and shelves packed with frozen fish. In another video, a cyclist is captured braving the cold on a ride through the snow and ice. Oleg, who posted the video on Instagram, said: "On Yakutsk roads. minus 48 degrees Celsius." But few places are colder than the town of Oymyakon, where the temperature reached minus 67 degrees Celsius, according to state news agency TASS. Located some 620 miles from Yakutsk, the settlement of 500 people is widely regarded as one of the coldest inhabited towns in the world. In February, 1933, the town recorded a temperature of minus 67.7 degrees Celsius. So far this year, the residents of Oymyakon have endured eight consecutive mornings with lows of minus 50 degrees Celsius or colder. Last Sunday, temperature dipped to minus 59.6 degrees Celsius, enough to cause frostbite in under five minutes to any areas of exposed skin. Classes for high school students were suspended only when the thermometer hit the minus 56 degrees Celsius mark, according to local media outlet Yakut Media and state news agency RIA Novosti. However, the freezing conditions did not stop three tourists from taking a dip in a river in Oymyakon last week. Video posted to Instagram shows the tourists paddling and sitting in the water as onlookers watched on. The cold weather is expected to continue later this week, according to a warning issued by Siberia's Ministry of Emergency Situations. "The Siberian regions are experiencing a cold snap with a strong wind and snowstorms, and a significant temperature drop is expected for the greater part of the Siberian Federal District in the coming days. In most places it will reach minus 40 degrees Celsius, cold will last for several days," the statement read. The Ministry has also asked citizens not to use personal cars and avoid long walks and trips.